We are looking for organizations and workers to turn out on Thursday, February 8 in Oakland for the third (and possibly final) public hearing on Cal/OSHA's Indoor Heat standard. This standard has the potential to protect workers from the very real dangers of indoor heat exposure, which can lead to heat exhaustion, heat stroke, and even death. Unfortunately, Cal/OSHA keeps watering down its proposal in an apparent concession to industry pressure. We need to stand together for a standard that effectively protects all workers from indoor heat hazards. Thursday, February 8, 10:00 a.m. - 3:00 p.m. Interested in attending the meeting or submitting comments? Contact Us to get in on the planning! Background: SB 1167 requires Cal/OSHA to develop a standard protecting workers from indoor heat hazards by January 1, 2019. A Cal/OSHA advisory committee has released three discussion drafts for the standard, and each has been weaker than the last. For instance, in the latest draft employers don't have to implement many of the most effective protections against heat illness (such as using fans, slowing workloads, or mandating cool-down rests) until the workplace heat index reaches 95 degrees Fahrenheit. Workers are at risk for heat illness in much lower heat indices, especially if they are engaged in strenuous work or are inadequately acclimatized. While Cal/OSHA has responded to testimony from workers and advocates with improvements in some areas, overall the latest draft is a significant step backward. California's workers deserve better. California needs an indoor heat standard that reflects science and the experiences of workers, not industry pressure. 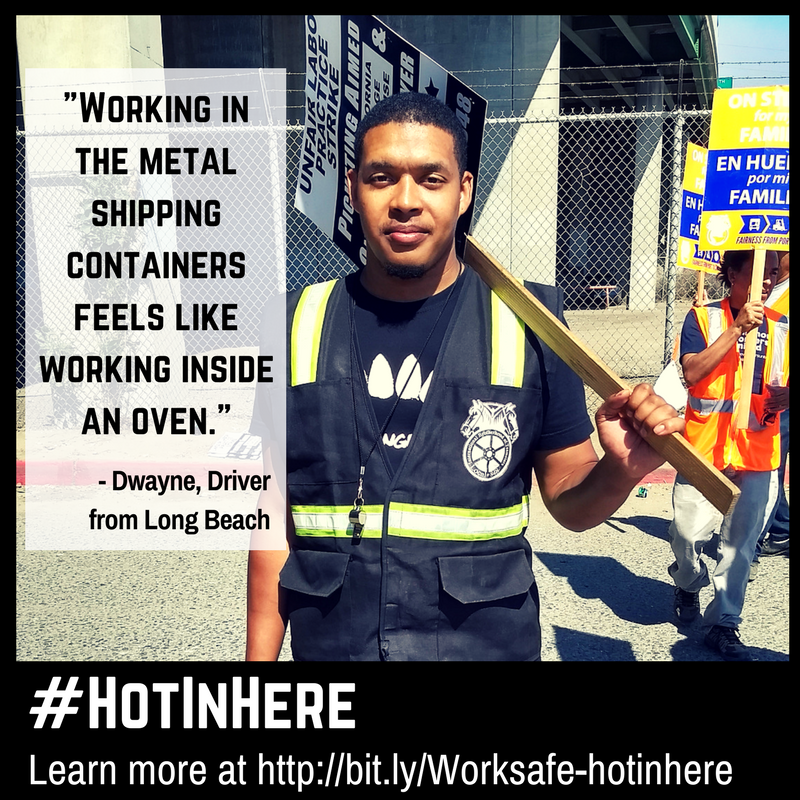 Click here for more on the campaign to protect indoor workers from deadly heat hazards.